Industrial pilot plant is such a good concept to design and implement the plants on larger scale. Professionally designed plant helps to access all facilities in a right way for the maximum production with zero risk factors. 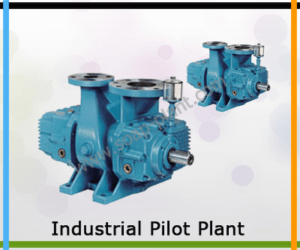 Brilliantly designed pilot plants helps to cut down the production cost ingeniously. We offer completely designed soap finishing plants with auto batching system as well as continuous system. Our pilot plant consists of the harmonious modus operandi for the complete procedure from slurry to final well fished product. It is a cost-effective package for required production. It is good example of the total automation with efficient monitoring system. It is also contains PLC based control system. We are interested to trade with countries of Middle East and gulf countries. We are also interested to deal with various importers of countries of Africa, Europe, North America and South America. Our pilot plants are best examples of total synchronized and user friendly procedures.